New Zealand has a large number of native slugs but only the introduced European slugs are pests. Of these, only the grey field slug (Deroceras reticulatum) can be considered a significant agricultural pest. Other species are occasionally encountered in agricultural systems, but are never numerous. Grey field slugs mate and lay eggs all year round, but most eggs are laid in early spring and autumn. Groups of up to 50 clear 2 mm gelatinous eggs are laid in sheltered moist places. Young slugs begin feeding immediately after hatching. 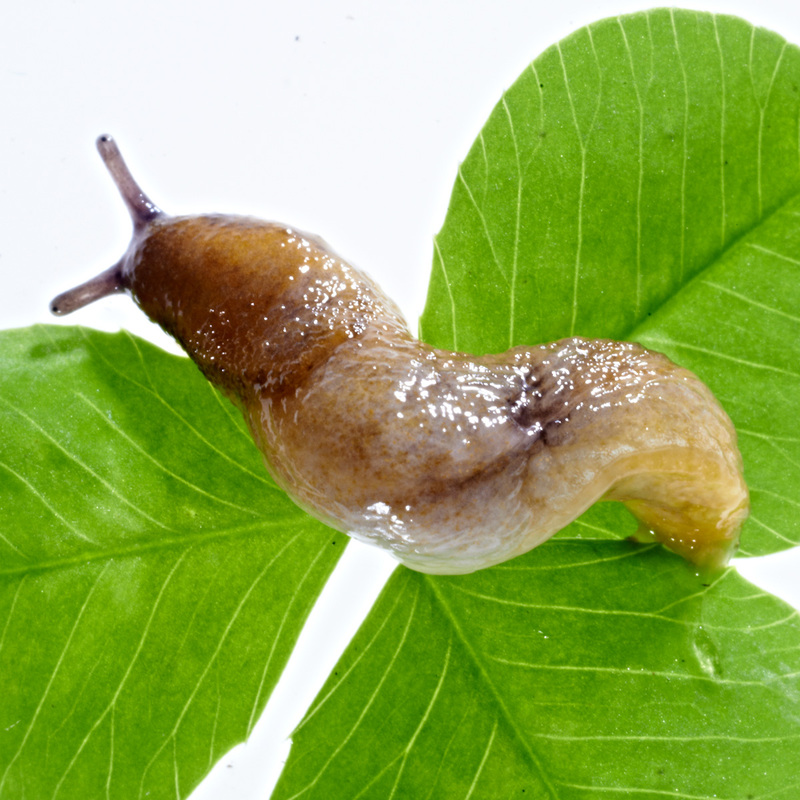 Slug development is related to temperature, and sexual maturity is reached between three and nine months of age. Slugs function as males when first sexually mature and as females later. Cross fertilisation is usual, although self fertilisation may occur. 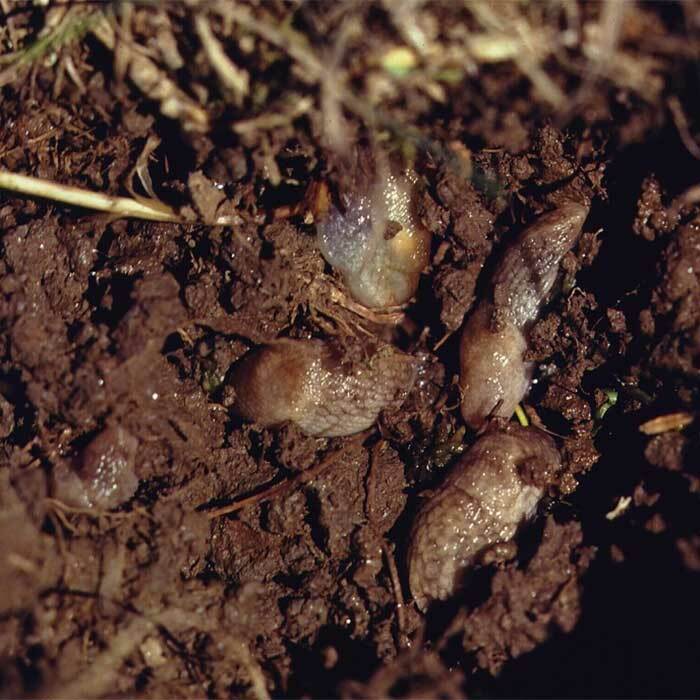 Grey field slugs can live for up to 13 months, and produce as many as 300 eggs. The grey field slug feeds mostly on plant leaves but will also feed on other plant organs and occasionally dead invertebrates and other slugs. Slugs feed by rasping away plant tissue. Characteristically, major veins and the lower epidermis of plant leaves are left intact giving the leaf a “windowed” appearance. 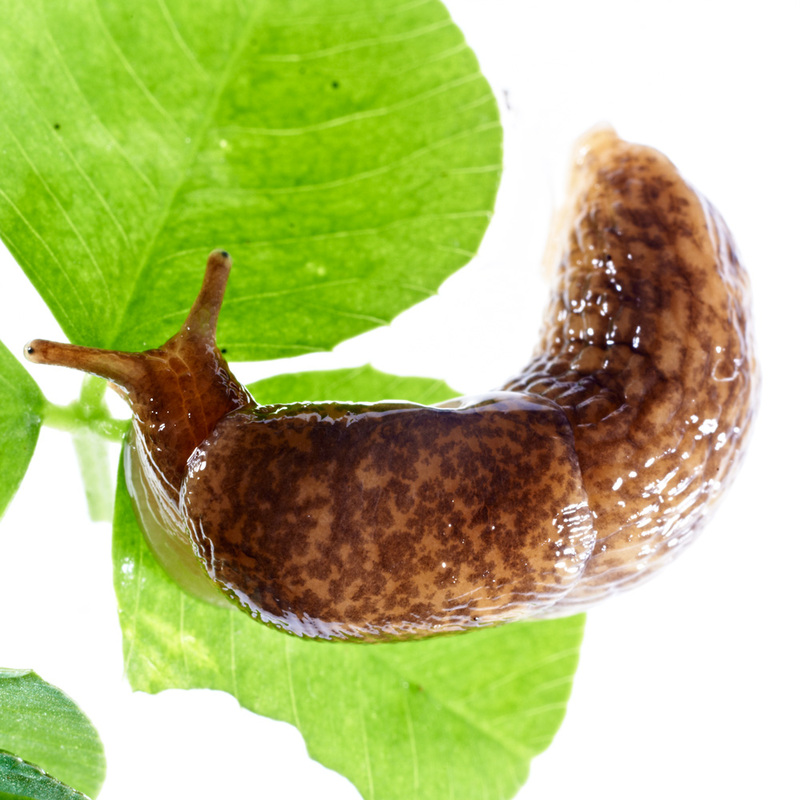 Moisture is critical and forms 80% of slugs’ body weight when fully hydrated. Large quantities of moisture are used to produce mucous which is used in locomotion, to prevent desiccation and as a defence mechanism when attacked by predators. They can absorb atmospheric and soil moisture through their skin but are vulnerable to desiccation. They avoid climatic conditions and substrates which would dry them out. However slugs are a danger to direct drilled crops. The drill slits formed during direct drilling favour slug survival, and focus their feeding on seeds and emerging seedlings. When high numbers of slugs are present, establishing crops can be devastated overnight. Numbers as low as 15/m2 can cause significant damage. Slugs are generally more of a problem on heavy soils and in wet areas but damage is not restricted to these situations. After direct drilling, slugs can be counted easily by opening the drill slits. More than two slugs/m of drill row are likely to cause damage. If the right farming practices are carried out it is not necessary to know how many slugs are present. Excellent slug control can be achieved using stock prior to direct drilling. Grazing the old vegetation hard kills slugs, and provides actively growing leafy material which will allow better herbicide activity. Grazing with 500 ewes/ha for three consecutive nights, 300 ewes/ha for five nights or 120 cows/ha for three nights, will give up to 90% control. Stock grazing closes cracks and crevices in the soil, trapping slugs either below the soil surface, from where they can not burrow out, or on the soil surface where they are exposed to adverse climatic factors (sun and wind) and vertebrate predation. Stock trampling also directly kills large numbers of slugs, especially if most of the population is active. Farmers practising rotational grazing, or similar stock management, routinely reduce slug numbers in their pastures. 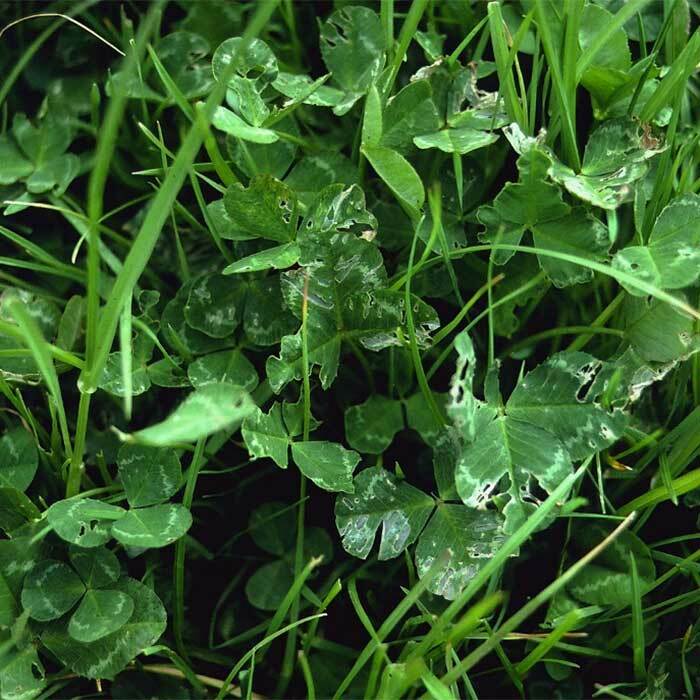 Lush pastures, those allowed to grow rank, and those with thick turf mats, such as found in browntop swards, often harbour potentially damaging numbers of slugs. The severity of slug damage will be influenced by the type of drill used, coulter design and soil conditions. Slug survival and access to seeds and seedlings is enhanced by open drill slits and when seeds are not covered by soil. Till seeders and rotodrills offer more protection to the seeds and less shelter to slugs than triple disc type drills but will not totally prevent slug damage. Winged coulters provide more favourable habitats for slugs than coulters that only create a vertical slot. Soils which crumble to cover the seed and close the drill slits favour slugs least. Don’t select your coulter with only slug control in mind. Remember, it takes more than coulter selection to control slugs, and more than slug control to successfully establish a paddock. Trash and crop residues left on the soil surface provide refuges and egg laying sites for slugs. Eliminate them before drilling. Cultivation kills slugs and as a general rule the finer the tilth and the deeper the cultivation the greater the slug mortality achieved. If damage appears after sowing, application of molluscicide baits is the only control option. Discuss your bait needs and application techniques with your local chemical or seed rep.